Sue is an extraordinary architect with more than 25 years of experience and has delivered some of our largest and highest profile projects – including the Music Center at Strathmore and UMBC Performing Arts and Humanities Building. She is a skilled designer with numerous awards to the credit of her teams. With refined skills at organizing and coordinating large teams integrating complex, high performance systems, Sue assures that the design intent and quality of every project is realized in construction. 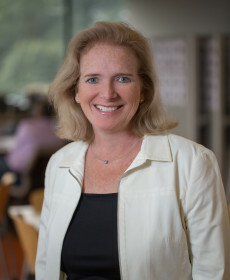 Sue has served on the Maryland Architecture Review Board for 5 years. She is committed to making the process of creating architecture enjoyable and instills this value into every project team from design to construction.